Is Hiring a Seattle Nanny wise compared to Daycare? Nanny: When our children are not feeling well, or sick, we are too! Maybe not with the same illness, but with our hearts breaking - wondering how to help them while continuing to provide for them. 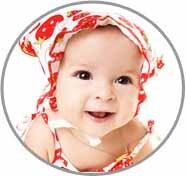 ABC Nannies give your children the care they deserve! Even in the most challenging moments our Nannies have proven themselves, offering a peace of mind to the family they’re tending to. We’re all subject to an added stress when we’re not healing in our own home. Nannies offer that extra special sensitivity to getting better; a warm cup of chicken-noodle soup, a blankie, and nursery rhymes in the comfort of your child’s own bed will do just the trick! You’ll stay informed of any progress or setbacks without the added worry of trying to figure it out. Let an ABC Nanny Source nanny soothe your soul. 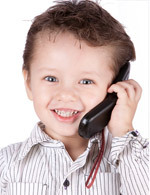 Daycare: Have you got the call from daycare - telling you your child is sick and they need to be picked up urgently? They were just fine that morning! Why on earth!? Daycares can be a petri-dish of illness; germs are easily spread. With so many children grouped together in a small environment it happens time and time again. Daycares simply do not have the means or the time to deal with another sick child. It leaves you and your spouse scrambling to find alternative work solutions - and headed back to the doctor for another dreaded prescription. Nanny: Home is where the heart is! Our reliable Seattle Nannies are at your door promptly each morning. Imagine the time and effort you put into pre-planning your day. And without question, the numerous added steps of packing the perfect diaper bag! Wipes, check. Food, check. Toys, check. Bottle, check. Changing pad, check. Bib, check. Extra onesies, check. The list could go on and on. This rush time is all given back to you for enjoyment with your child and a smooth morning - knowing everything is in its place! Nannies will accommodate your schedule and specific needs! Daycare: Operation of business hours at daycare centers often control your mornings. You end up scheduling around their schedule. You’re required to bring a list of items they need from you for your child - more often than not leaving you rushing around. Getting yourself prepared and on time to work becomes secondary, making it not likely for you to have a rewarding workday! Nanny: As you see fit, our nannies will operate the day! Whether it’s singing, playing, learning, baking, or creatively discovering the world around them - you’re in control! You can co-create a game-plan that will interactively set your child apart from mundane moments. Learning to count, alphabets, tumbling, baking, imaginative play, and potty-training are just a few on the list. There are so many extraordinary ways to inspire a child’s growth with indoor synergy! Daycare: With 15-20 children at hand we’re not sure of an adult in the world who could keep children focused, learning, and interactive independently all day long. Not to discredit any of the wonderful teachers that are out there, who are highly qualified, and educated themselves - it’s simply impossible to find a quiet moment to read stories, bake, potty-train efficiently, and provide one-on-one attention. Often times we’ll see curriculum set with specific criteria and schedules with benchmarks to sway children for achievements. Nanny: Fresh air is an exciting and healthy way to spend the day! If you find it appropriate a nanny will take nature walks, trips to the park, play sports, special explorations to the zoo, and much more! Most children adore the outdoors. And what is more refreshing to our technological world than exploring what nature has to offer us? It’s energizing to our children’s little souls, minds, and bodies! There’s always unique opportunities to incorporate fresh air with a nanny who will encourage the outdoors. Daycare: Outdoor activity time is limited with daycare. Some daycares do have a small outdoor play area, but with 15-20 children all trying to share a swing or a slide it’s hard to manage each ones fair opportunity to get to play as they please. Roughhousing is a serious issue and can have a burdening affect your child in many ways. 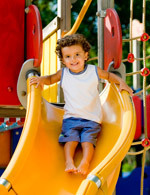 Although safety is always a top priority, it isn’t easily done when there are a dozen or more children to keep an eye on. It’s almost impossible to share one-on-one play in this environment. Nanny: Siblings who spend more time together create bonds that are life-lasting! An ABC Nanny offers that quality time together! Stronger relationships are made and your children are connected with each other in ways that are fruitful forever. Nannies oversee and guide their playtime together that create fun, understanding, and always bonding experiences! Daycare: Requirements are to separate children of age, regardless of the daycare. Siblings will not be allowed to see each other during the day. Their peers become their closest friends and often siblings are set apart from each other. As parents - our hearts are broken by the separation of our children; we strive for our children to be close and supportive of each other throughout their lives. Nanny: You’ll have the luxury of knowing who to call or text when you’re away from home. Most parents enjoy the thought of being able to stay in touch with their children throughout the day. You’ll be able to stay in touch; hearing your child's voice is inspiring while you’re at work - and comfortably observing their progress has a priceless effect. How was their playdate? Or, what was the results of their swimming lessons? An ABC nanny is committed to keeping you informed with the best results on demand. Our children love to get a surprise call from their parent’s; it’s the closest and most awesome feeling they have while you're away! You’ll be smiling in unison knowing you’re as close as you can be - all day everyday. Daycare: Daycare centers are typically unable to accommodate private phone calls with our children - leaving you in the dark - only to hear how the day went after work. It is reasonable for the daycare center to keep their programs uninterrupted - although It’s an uncomfortable feeling wondering what’s happening in the moments of their delicate lives. An emergency call is one nobody wants, yet that’s the only way you’ll be in touch. Nanny: An ABC career nanny is there for your children in a priceless way; she’ll provide an extremely satisfying and unmatched personal experience that supports their growth in their mannerism, creativity, and character in all the best ways. A nanny’s approach is compassionate and conscientious. Activities like arts and crafts, reading, musical fun,, and outdoor explorations are a just a few on the list to get started! The goals you set for your children are brought to light in uncomparable settings. Children are encouraged and nurtured with positive reinforcement and considerate attention to their interests. They’re safe, well-fed, and cared for in your own home! A wonderful nanny’s presence will never be forgotten. Daycare: Student to teacher ratios are extremely high. Attention is often given to children that require more - leaving very little balance for individual progress. Limitations of this kind of environment can be frustrating for your children; at the end of the day, you’re questioning whether or not they’re in the best hands. Often times we find our children hungry in physical, educational, and emotional ways - sometimes expressing themselves through problematic methods. Nanny: A most wonderful benefit of having a nanny! You can bond with your children as you please, yet take a moment to yourself - enjoying a relaxing massage, or a walk on the beach with your spouse. Dinner dates can bring the heightened experience of life on vacation while you’re worry free, knowing your children are in the best care; someone you believe in and trust to be giving the dream vacation to your kids as well! Travel becomes much less burdensome, with a nanny to assist in everything from boarding passes to a busy airport where childrens baggage and lunch are the least of the worries on your mind. An ABC Nanny makes a vacation so much better it will leave you smiling until your next trip away from home! Daycare: You’re solely responsible for aligning childcare in a place you're unfamiliar with. You’ll still be paying for your child's place at the daycare center too - all while dealing with the burden of childcare on vacation. Time to yourself becomes limited as you try to arrange care options for your child. Nanny: ABC Nannies are specialists with organizing, detailing, and assisting children with their homework. Our nannies are remarkably known for their tutoring abilities. Preparing for tests and quizzes at school, or dedicating their time to areas of distress in our children's learning curves - a nanny is a unique role model in education. You’ll stay informed - while your child's mind is focused and expanding! This convenience to you is comforting - knowing your children are being stimulated and prepared for their next levels of scholarship. Daycare: After School programs can offer great socializing and unique talents, but homework is still left to finish afterwards. As important as it is to all of us, our children’s homework is often the last thing on our minds as we unravel from our workday. For the entire family to refocus back into a homework state-of-mind can be quite challenging. Academics are the building blocks to a good life, and we all take pride in that, yet the busy lives we live hardly give focus to the consistency needed to stay adept and motivated with our homework.